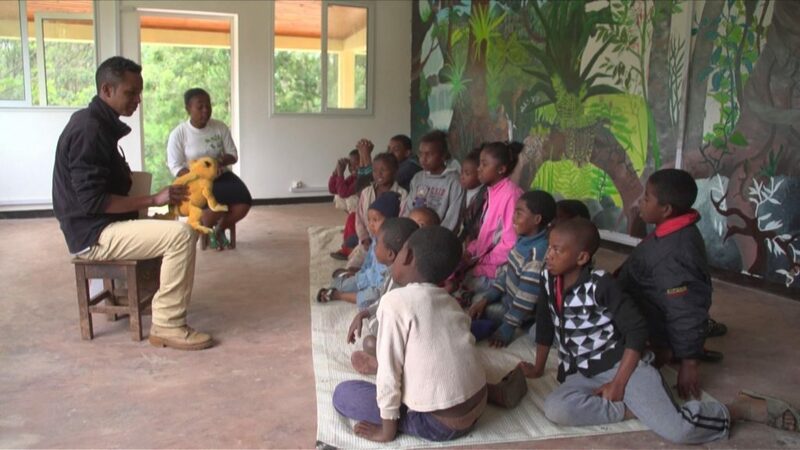 Justin Claude, one of the conservationists at Mitsinjo Association in Andasibe, Madagascar. 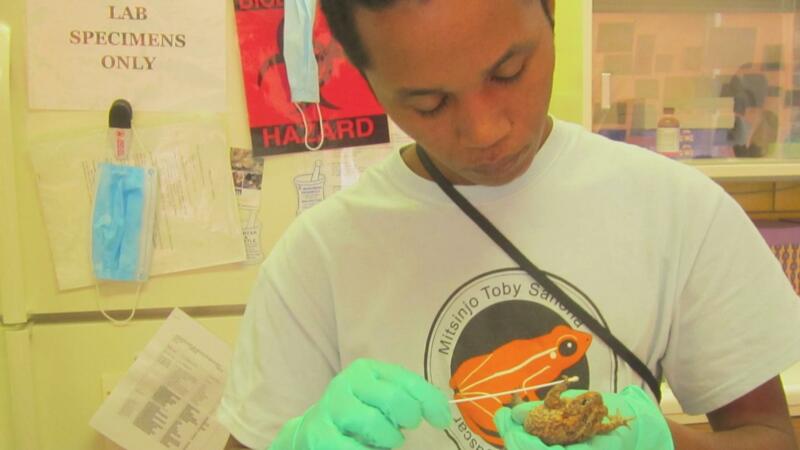 He heads Mitsinjo's Amphibian program. Madagascar is one of the world’s most important biodiversity hotspots. that afflicts the island&#39;s communities is causing serious damage to its environment. Justin Claude, one of the conservationists at Mitsinjo Association in Andasibe, Madagascar. He heads Mitsinjo’s Amphibian program. forest. Later in 1999, Mitsinjo was formed by local villagers. Claude – Mitsinjo Amphibian conservation director. Justin talking about a lemur. Madagascar is known for its unique flora and fauna. One of the famous animals in the country is the lemur. knowledge about the rainforest. This project is a program to plant more native trees. different species of the native tree,” told Youssouf – Mitsinjo tree nursery specialist. importance of conserving the forests. Justin teaching children about the animals in the forest. Mitsinjo holds community sensitization programs to stress the importance of forest conservation. capacity building programs for the communities they support, including schools. travel”, said Irene Ramanantenasoa – Mitsinjo environmental education officer. glory of its forests is restored and conserved.